Green Grid Solutions has the knowledge and experience to quickly help you generate electricity that can put money directly into your pocket. ✔ For projects 10 kilowatts or less. ✔ Information for homeowners, small businesses and others. You can be part of Ontario's growing green energy movement, make money and contribute to a cleaner environment. 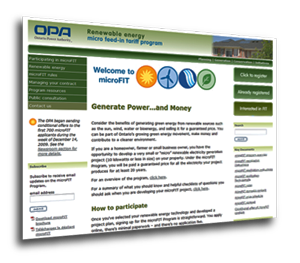 If you are a homeowner, farmer or small business owner, you have the opportunity to develop a very small or "micro" renewable electricity generation project (10 kilowatts or less in size) on your property. Under the microFIT Program, you will be paid a guaranteed price of $.80kw/h for all the electricity your project produces for at least 20 years. ✔ For projects over 10 kilowatts. ✔ Information for renewable energy developers. 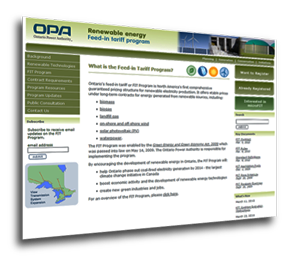 Ontario's feed-in tariff or FIT Program is North America's first comprehensive guaranteed pricing structure for renewable electricity production. It offers stable prices under 20 year contracts for energy generated from renewable sources, including photovoltaic (PV). 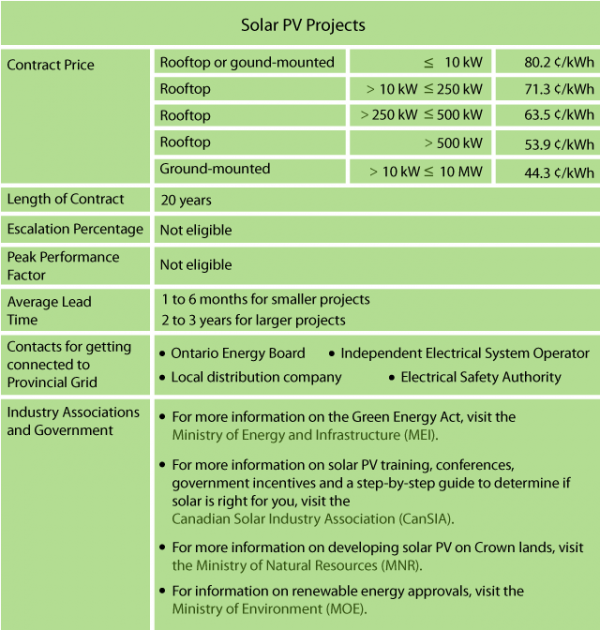 FIT Pricing is starting as high as $.71kw/h for roof mount systems up to 250KW.